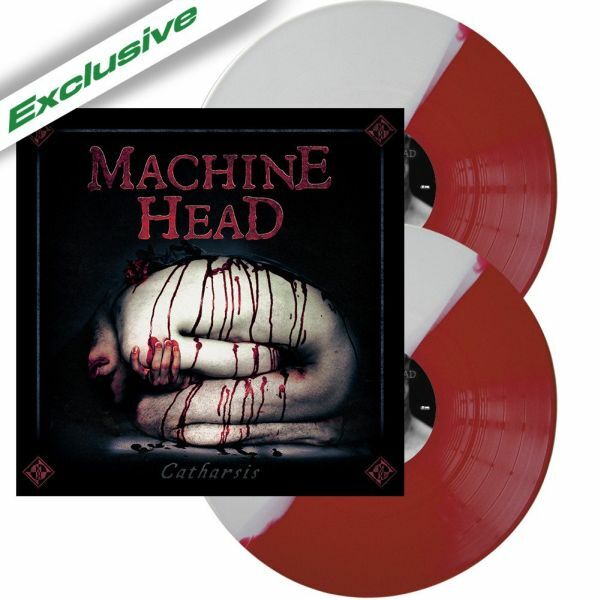 MACHINE HEAD - CATHARSIS BI-COLOR VINYL (2LP) | Online Shop | Wizard LTD. Album: "CATHARSIS BI-COLOR VINYL (2LP)"
- Exclusively available at NUCLEAR BLAST mailorder! Limited to 500 bi-coloured (red+ white) double vinyls (180g) in a gatefold sleeve! Recent years have seen MACHINE HEAD gaining momentum and confidence. The release of 2014’s universally lauded »Bloodstone And Diamonds« album and the subsequent birth of MACHINE HEAD’s “An Evening With...” shows - several hours of MACHINE HEAD, no support band, guaranteed fan satisfaction! - have all added fuel to the band’s already blazing fire, and 2018 promises to be their biggest and best year yet, starting with the release of long-awaited ninth album »Catharsis«.